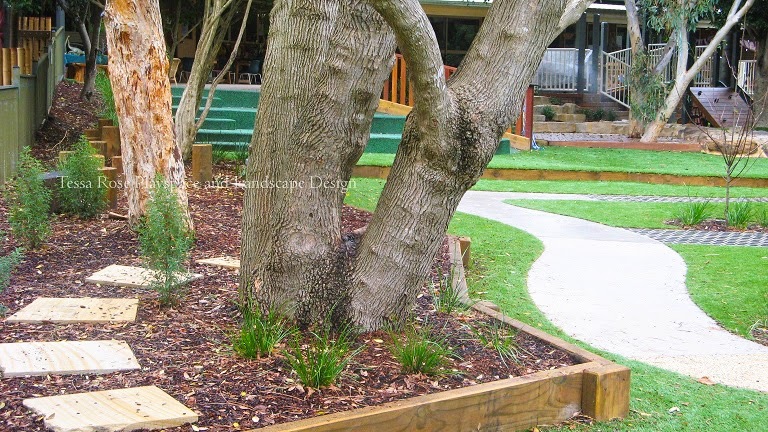 ' Banksia Cottage was established by a committee of dedicated staff members of Macquarie University who needed childcare services on campus. 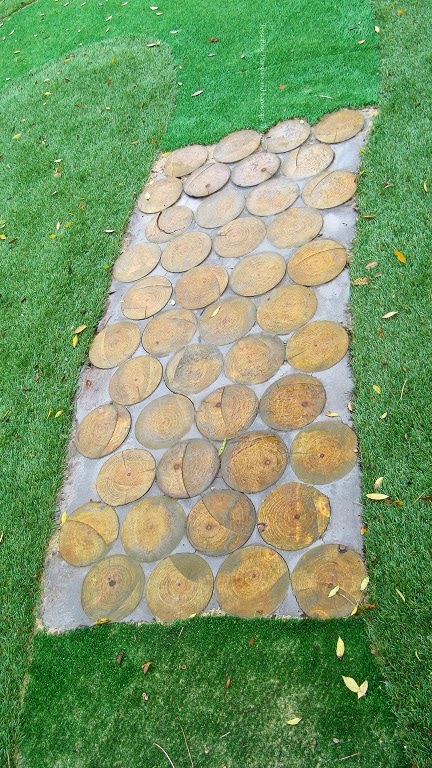 Led by Jean Joss they lobbied the University and successfully began building the Centre in 1992. 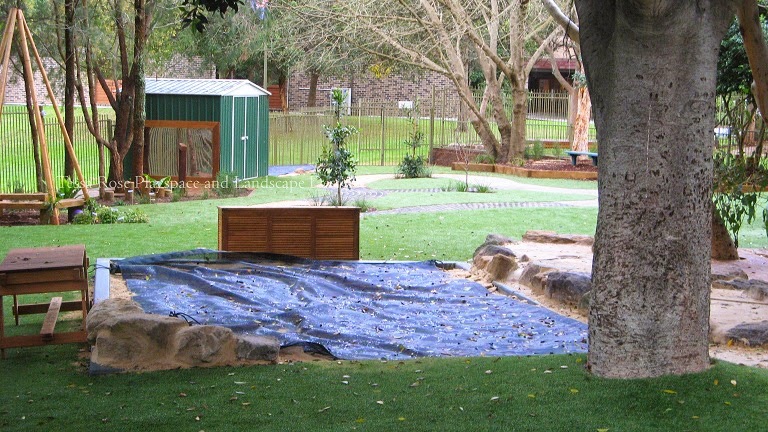 The Centre opened its doors on Monday, February 22, 1993 as the Macquarie University Child Care Centre at Banksia Cottage. 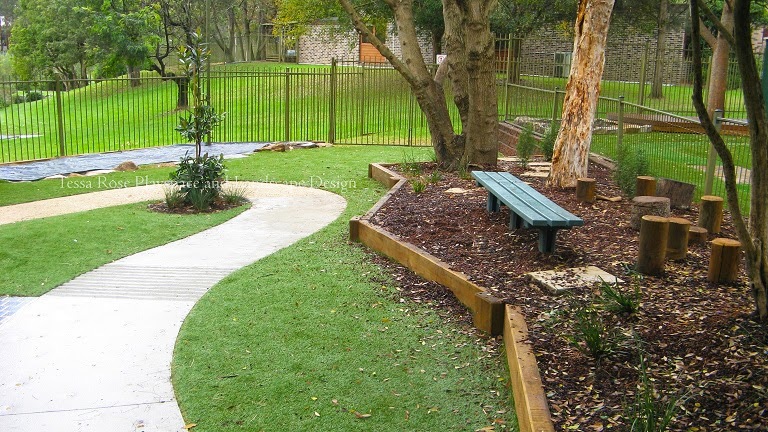 It was licensed for 60 children and gave priority to families of University staff. 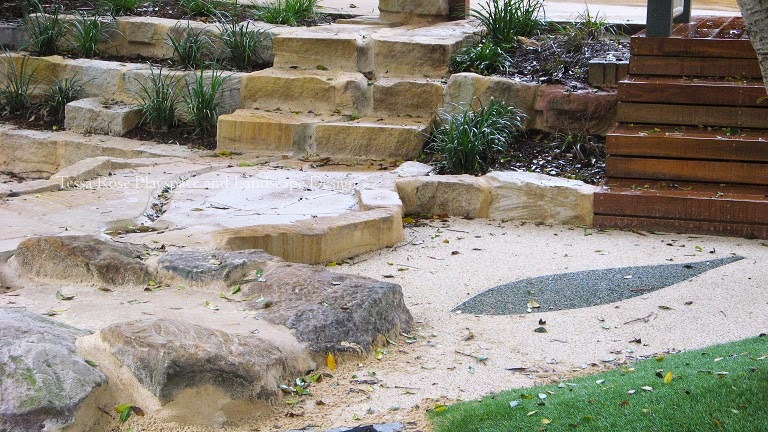 Professor Jack Bassett, Deputy Vice Chancellor, was appointed to oversee the governing Banksia Board. 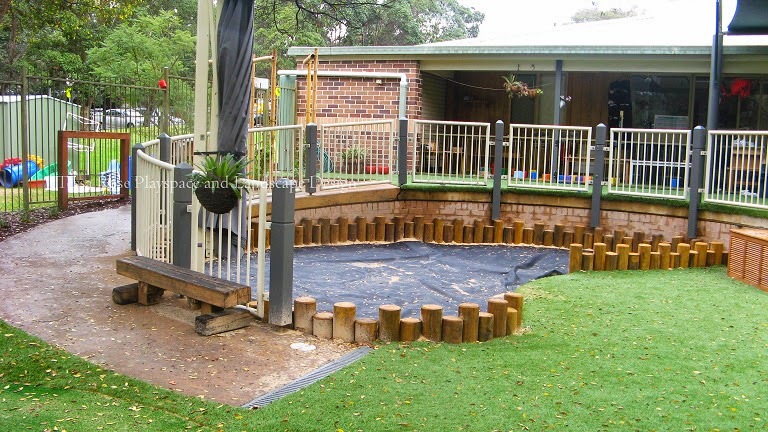 In 1995, due to the increasing demand for Banksia's services, the University agreed to extend the Centre from 3 playrooms to five. 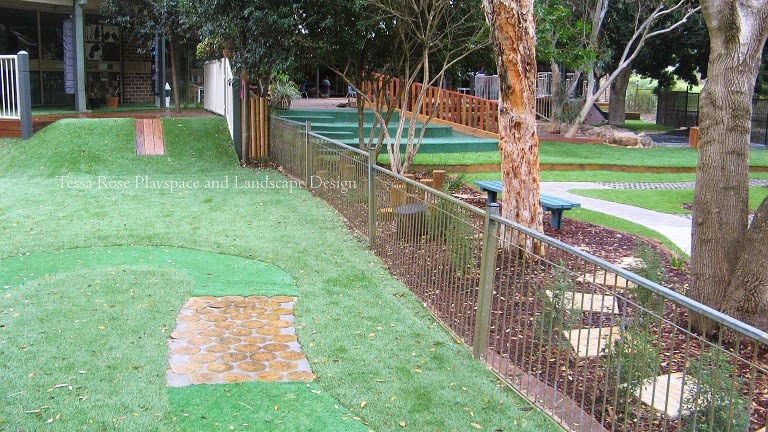 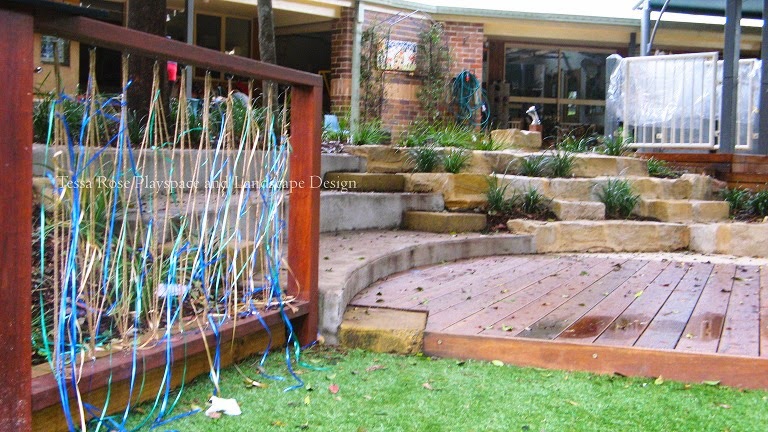 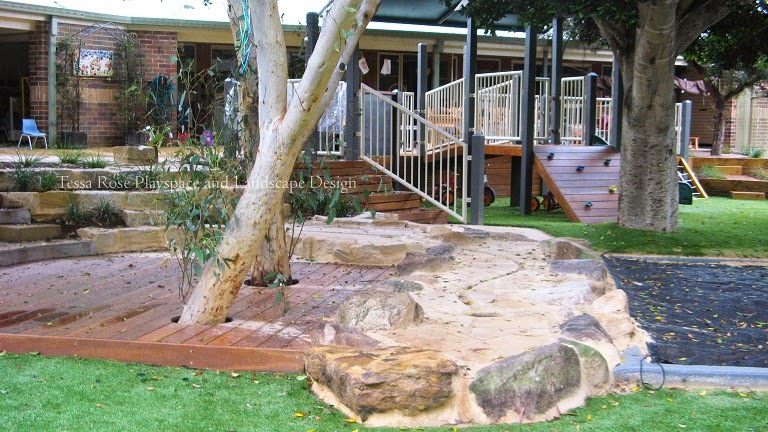 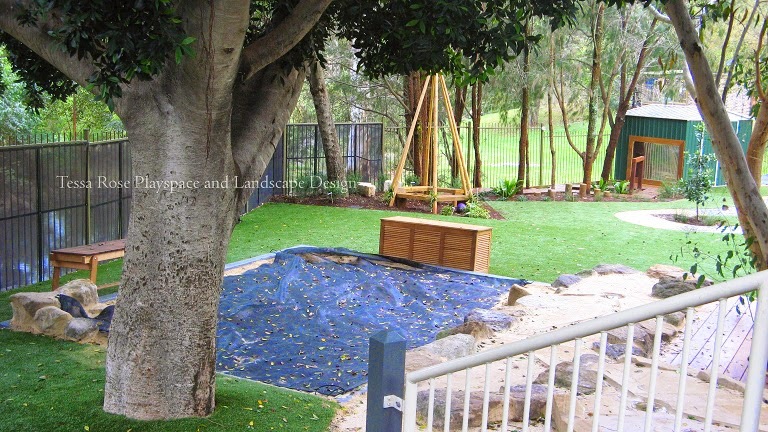 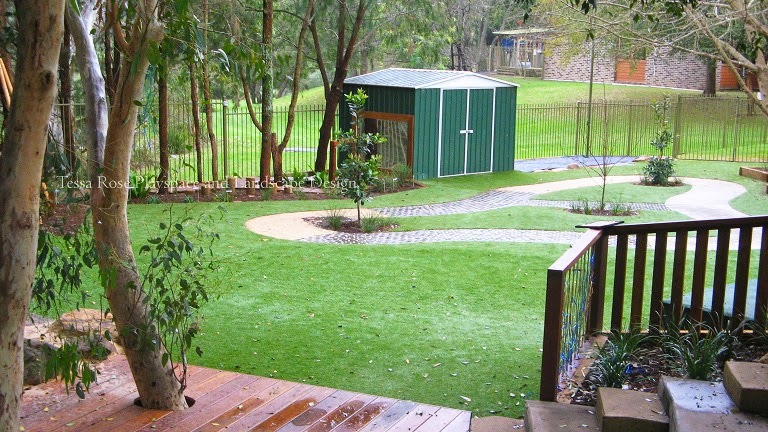 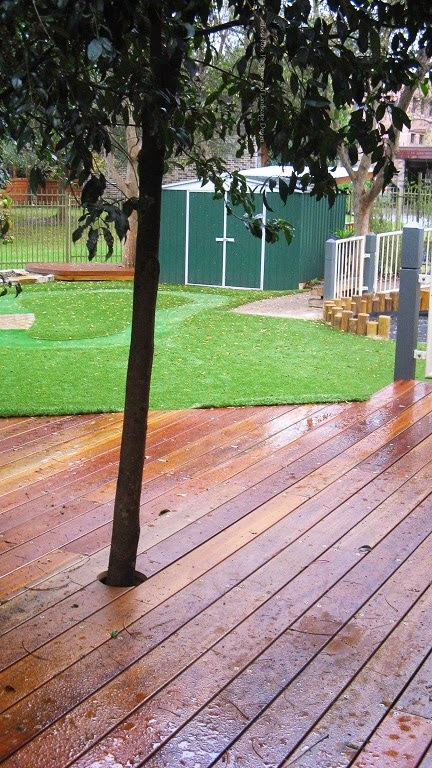 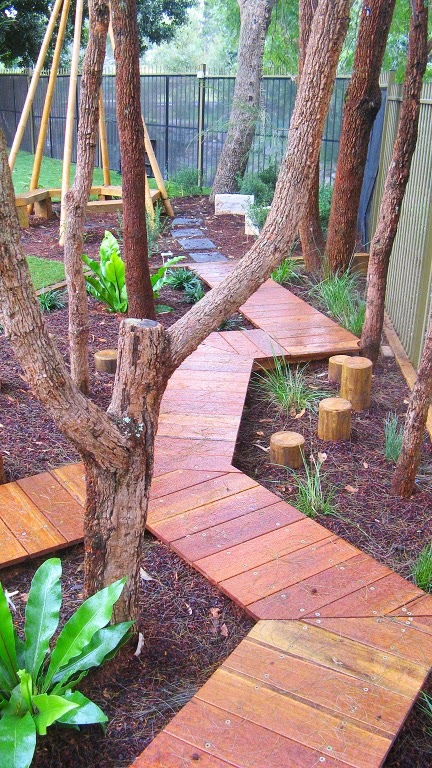 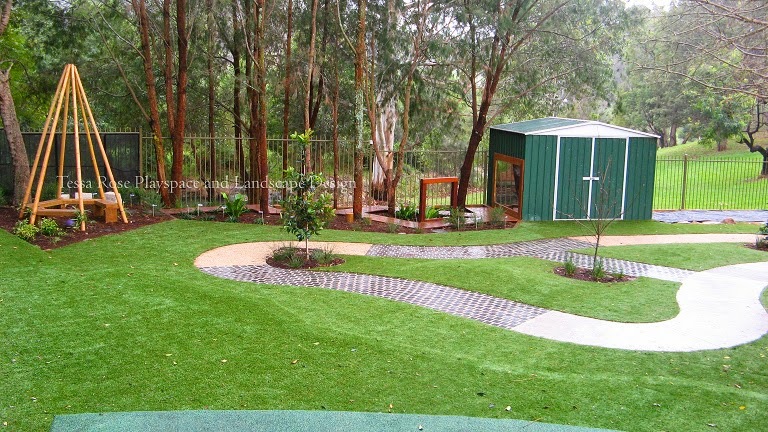 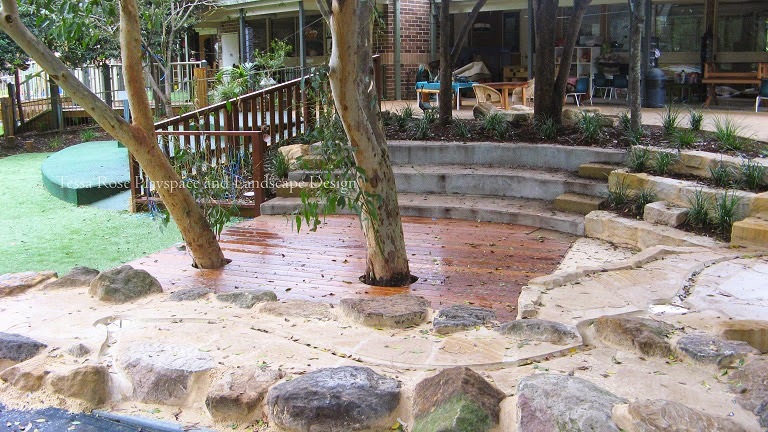 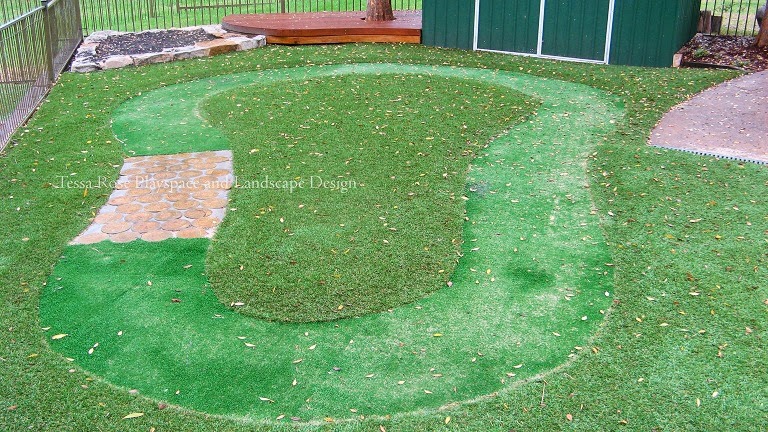 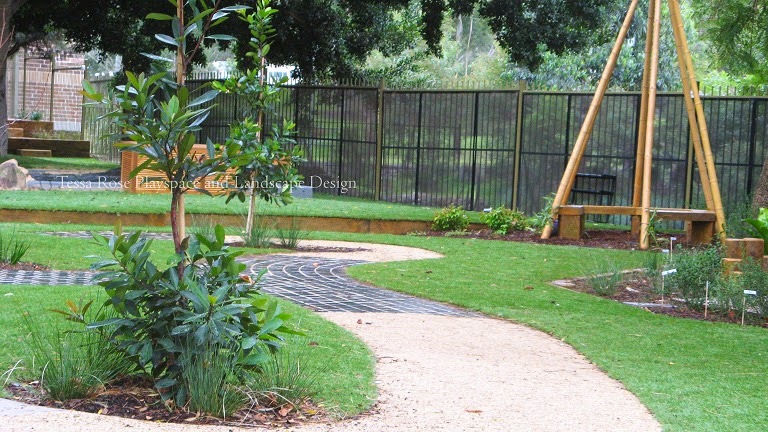 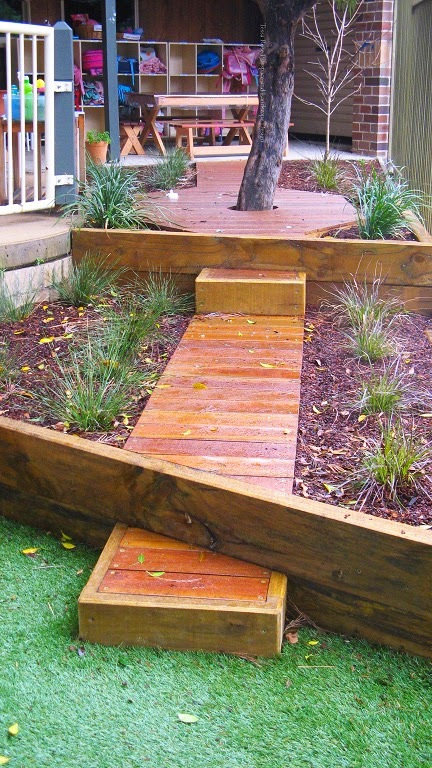 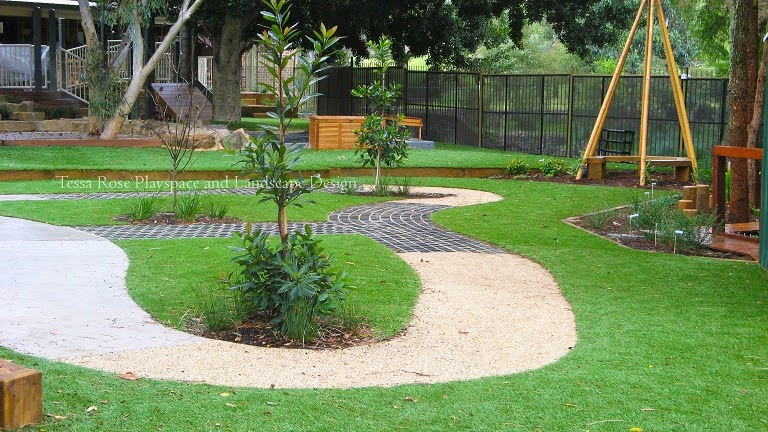 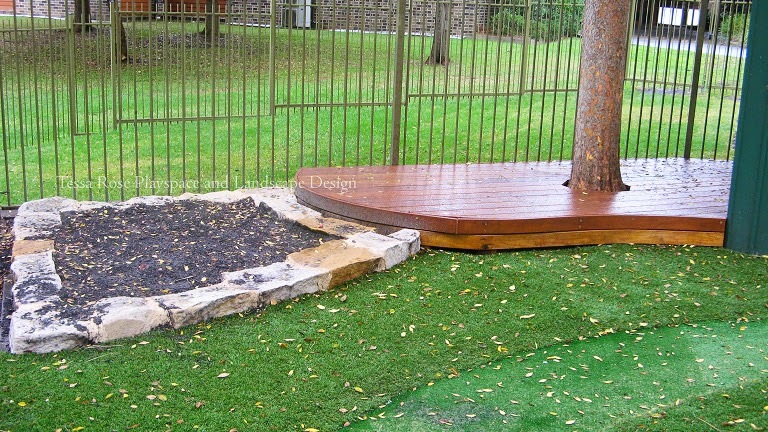 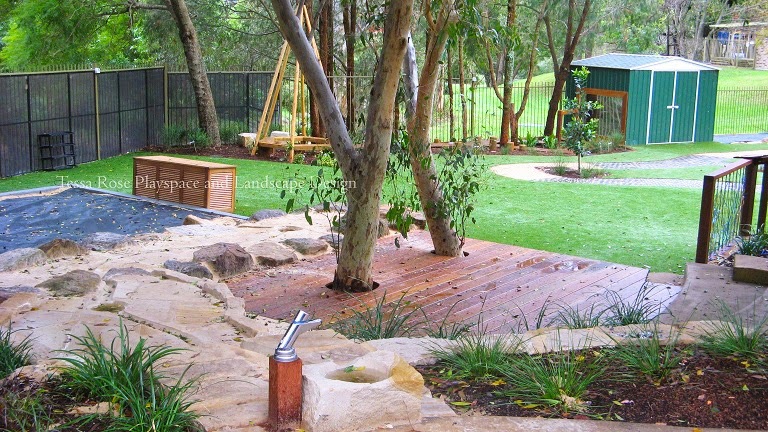 The major challenges in this design was to restructure both playspaces levels to provide a clear direct and safe pathway from top to bottom, maintain clear supervisory sight lines, integrate existing foliage and space that had previously been used for retaining into the overall design and to incorporate play and small group areas. 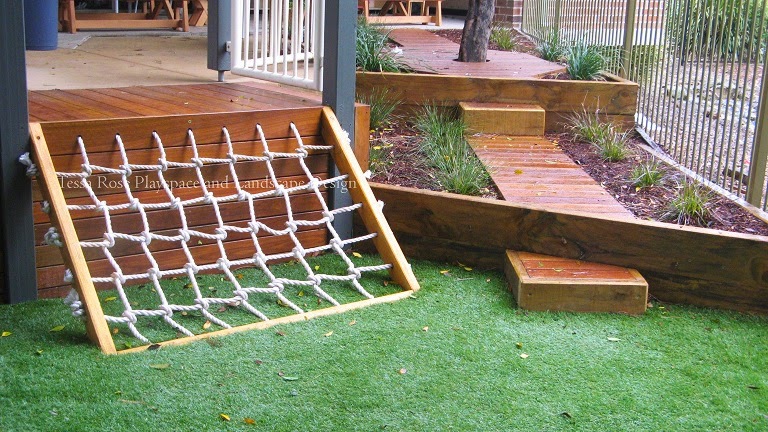 0-2 YO playspace, After, 2014. 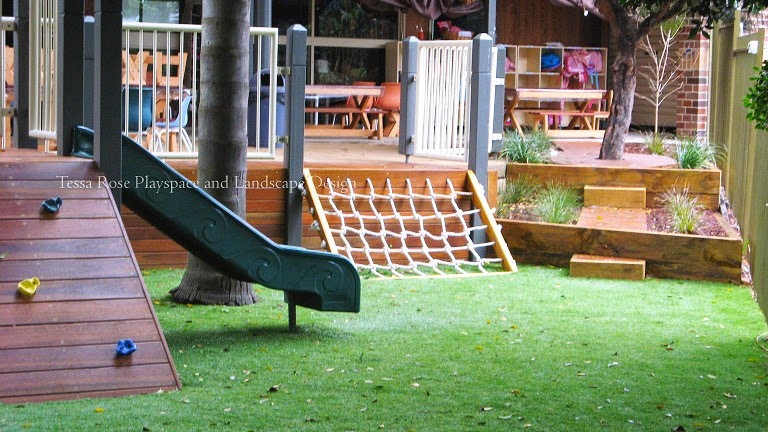 0-2 YO playspace, Before, 2013. 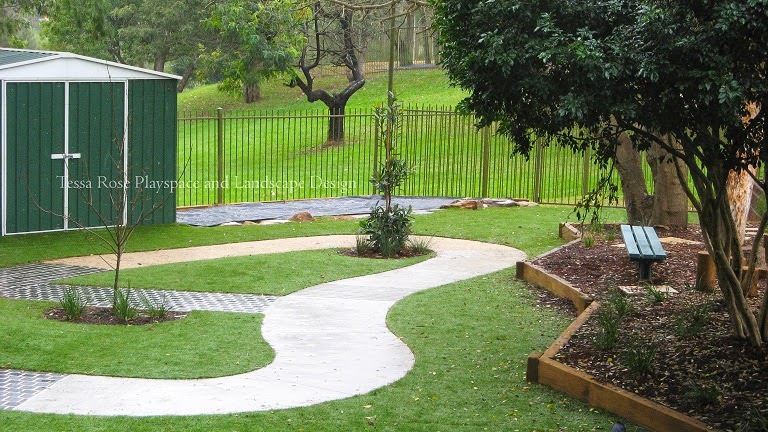 2-5 YO playspace, Before, 2013. 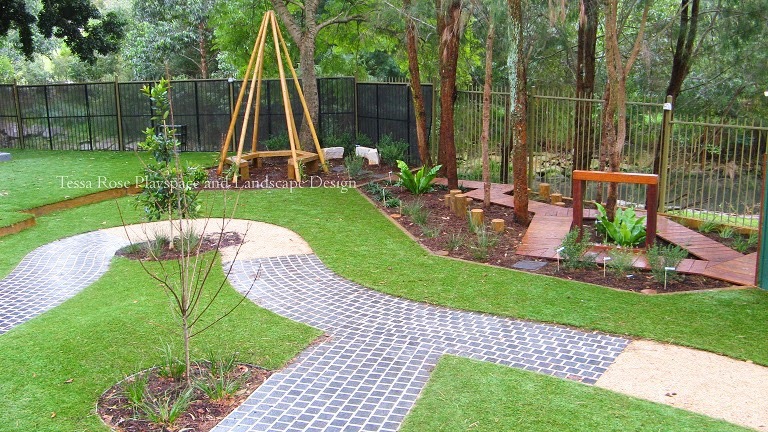 2-5 YO playspace, After, 2014. 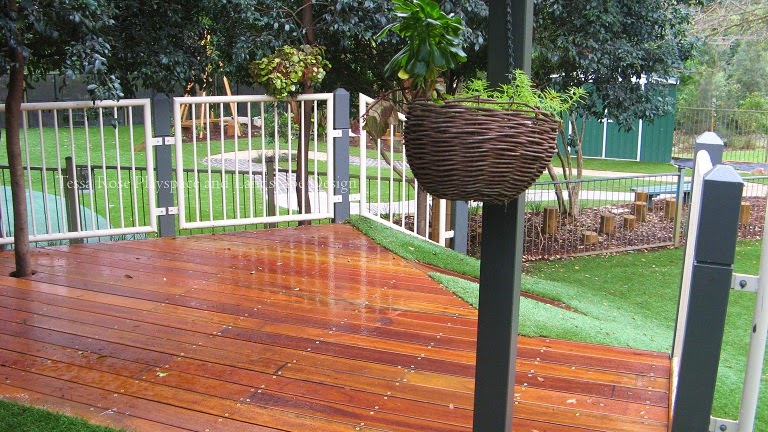 One of the things that I like about how the new playspace is being used and one of the things that continues to surprise and delight me, is when children are able to adopt and care for individual plants. 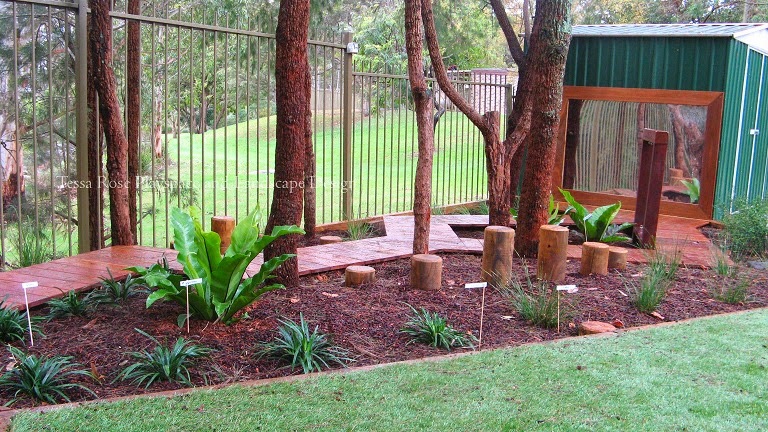 The markers in the garden are the names of the children who are caring for the plants. 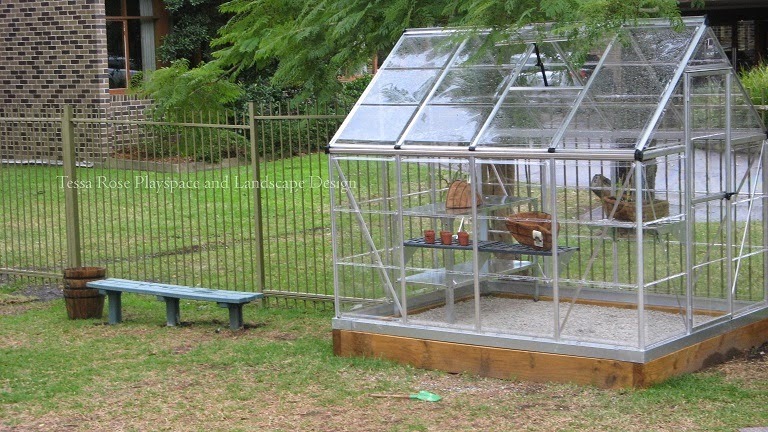 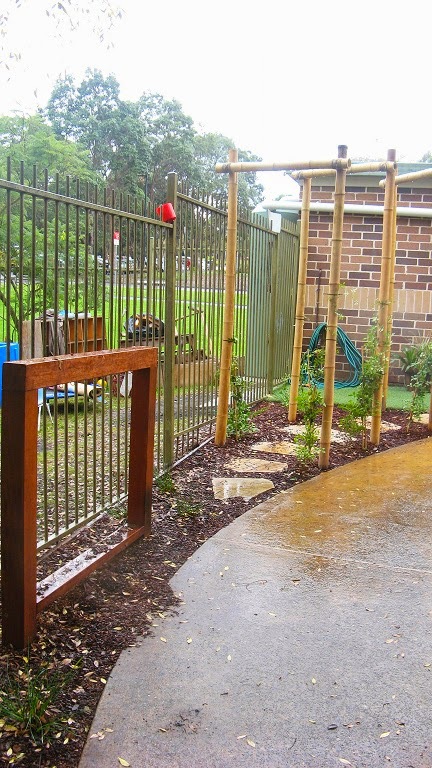 If you want to do something similar at your centre you don't necessarily need a new playspace, you can download free plant adoption certificates here, here, here, or here and plant name markers here. 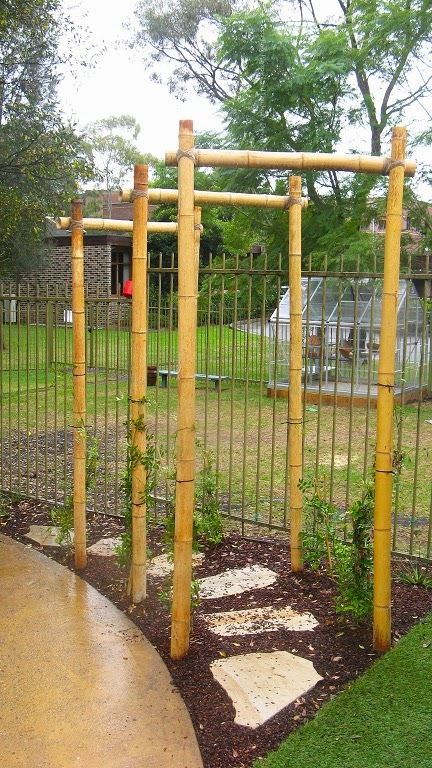 Some spectacular weaving on the new multipurpose frame. 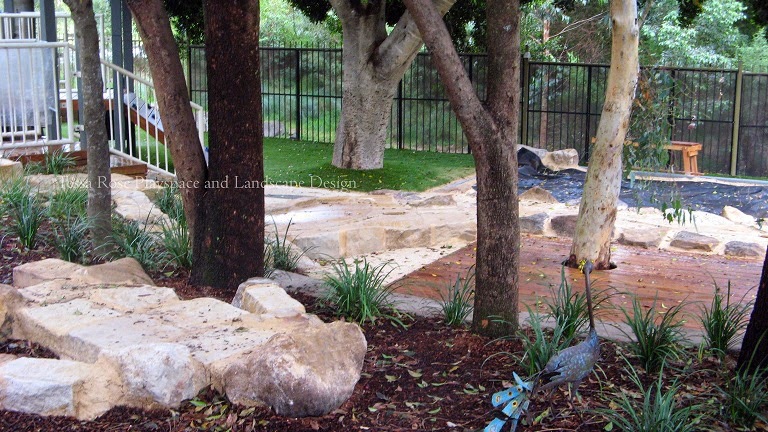 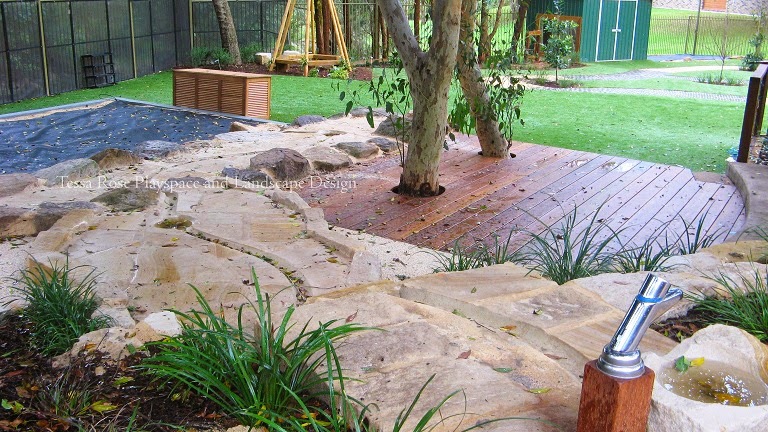 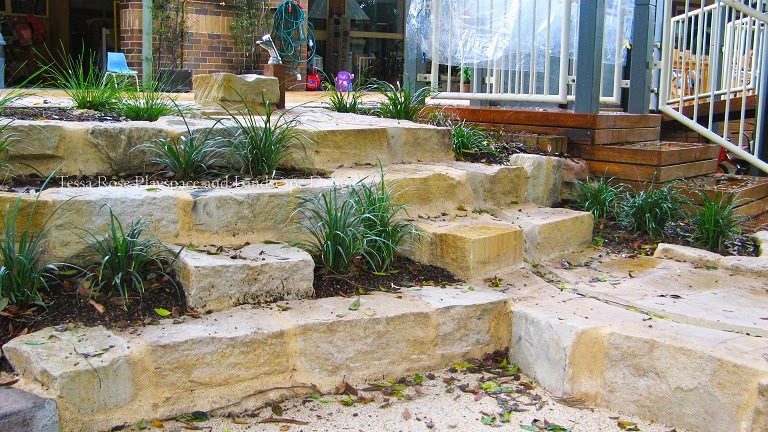 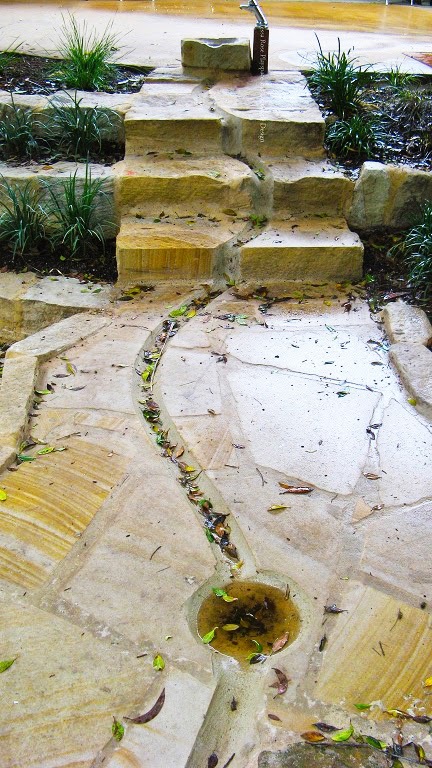 An elevated water channel cascading down to the dry creek bed & sandpit.